The Hope and Love cuts were from the Home Decor cartridge and I welded Faith using the Lyrical Letters cartridge. Last but not least, I made an ornament that says Believe, also from the Home Decor cartridge. Happy Thanksgiving, I truly hope that you have a blessed time with your family and friends as we all have a lot to be thankful for. This was so much fun, I cannot wait to make more of them. On my way out of Michael's tonight, I noticed they had 6 packs of clear glass ornaments for $2. And ended with a beautiful ornament. I know my Grandma will love this one because purple is her favorite color. Make sure that you let all of the excess floor polish drip out before you add the glitter or you will have a clumpy ornament. Also, make sure that you use ultra fine glitter. I got a Martha Stewart glitter set from Michael's with my 40% off coupon. Here is another one using Christmas Cards. I have a hard time making bows, so I am not too sure I like how this turned out. 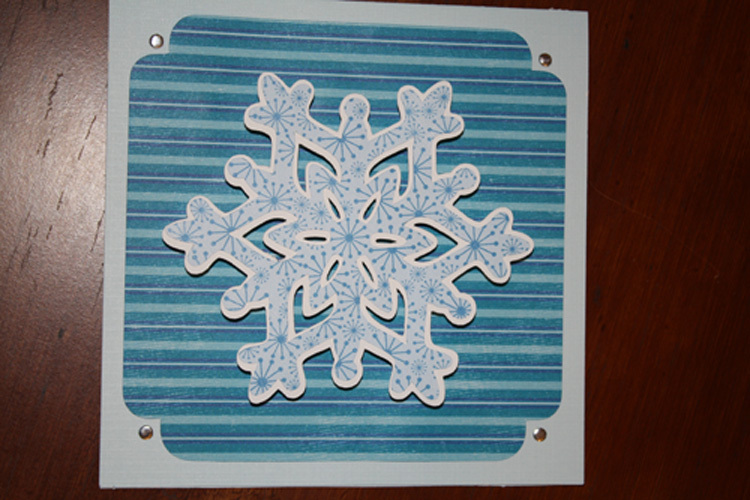 This is an easel card that I made using Winter Woodland. I went away from the standard Christmas red and green and made this card with light pink and chocolate brown. This was made with the Christmas Cards cartridge. The card base is cut at 5.5". I cut everything else the same size and the wonderful Cricut kept everything proportional. This one was a bit much for me to comprehend, but once I started cutting, it made a little more sense. The snow globe was welded from Doodle Charms. I am almost positive that there are other cartridges with snow globe if you want to make this but do not have that cartridge. The white part of the globe is embossed with snow flakes and the base is a piece of paper from my stash. 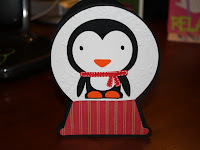 The penguin is from Create a Critter and the scarf is stitched with a white gel pen. This was another from the Christmas Cards and Christmas Solutions cartridges. The card base was cut at 5.5". The gems were placed with the iRock. This is days 1-3 combined. 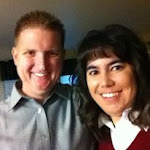 Since I moved my blog, I did not want to start over with posting.